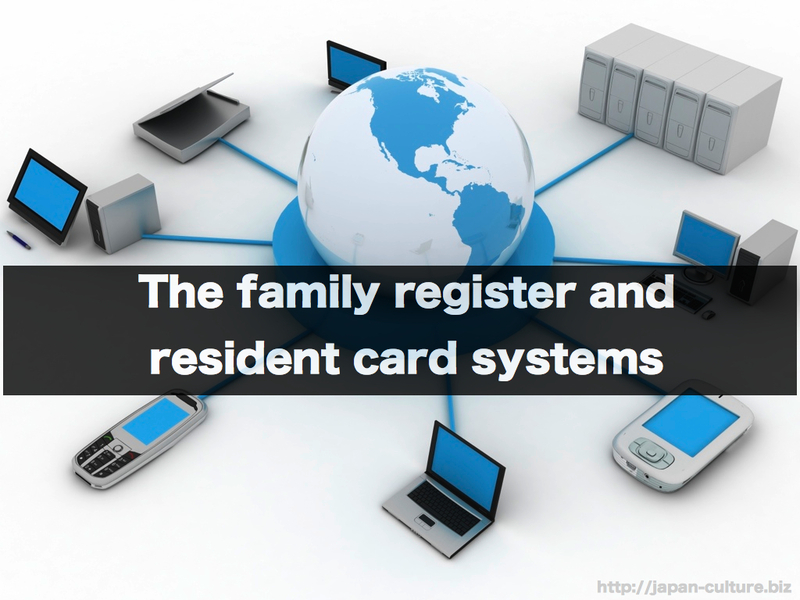 Japan has the family resister and resident card systems for identification of people. The family resister system register people by family units. This resister is like the birth, marriage, and divorce certificates of North America. To make a passport, a Japanese person needs a copy of their resister. Example of the family resister card. The resident card is a record of where we live. This is used, for example, for voting in an election. A card is made for each person and kept at the local government office. The Basic Resident Network is made from the resident cards. It has the role of putting registered information together. Example of the resident card. How to watch Japanese free Anime online.